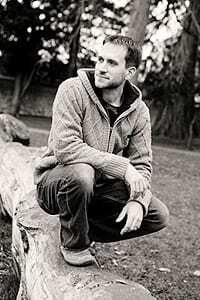 After completing his studies at Oxford Brookes University in 2003, Neil became involved in the construction industry. Several years of working in the general building trade equipped Neil with a broad range of experience and began what would become a passion for carpentry and joinery. Even as a young boy, Neil was always busy making ‘things’ and nowadays this is expressed in a real excitement for working with wood and experimenting with different designs, techniques, finishes etc. The garden bench featured on this site is a great example of Neil’s fresh approach to design. Neil loves to produce excellent work and relishes a challenge whether it be renewing the door of a listed cottage or creating very contemporary fitted wardrobes. Excellence is his highest value both in terms of the work he produces and the experience of his clients. Neil has been living in Oxfordshire since 1999 and now lives in West Oxfordshire with his wife and daughter.